Is dairy healthy? Canada sent a strong message last week, when it released its updated food guide - without a daily dose of dairy. The new guide does away with food groups entirely and instead encourages people to eat a variety of unprocessed foods. In this month's blog, we take a closer look at the recommendations and what healthy plate looks like. It took over ten years, but Canada has finally updated it food guide. Canadians have used the guide since the 1940s as a source of nutritional advice on optimal health. 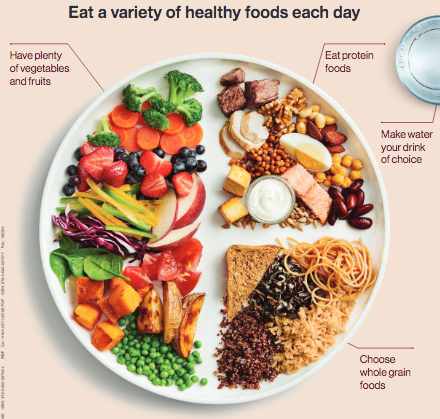 Like other countries around the world, Canada’s major revisions do away with its pyramid of ‘food groups.’ Instead, Canada offers up an appetising plate to illustrate what we should eat. So what does a healthy plate look like? Easy enough to do with Green Dinner Table on the menu! Many assume that dairy is essential for bone health, however clinical research shows that dairy products have little or no benefit for bones in children, in teenage girls and even in post-menopausal women. One of the best ways to protect our bones from osteoporosis is to exercise and eat calcium-rich foods. Some examples include kale, broccoli and other leafy green vegetables and beans. Dairy products like cheese, ice cream, milk, butter and yoghurt are high in cholesterol and saturated fat, which can increase the risk of heart disease. Consuming dairy products has also been linked to higher risk of various cancers, especially prostate, ovarian, lung and breast cancers. One American study found that women who had consumed more than one glass of milk per day had a 73% greater chance of developing ovarian cancer than women who drank less than one glass per day. People who drink dairy milk have poorer brain health. Researchers found that those who consumed more than one glass of milk per day were 10% more likely to experience cognitive decline, compared to those who consumed less or no milk. Dairy products have also been linked to health risks for children and can encourage the development of obesity, diabetes and heart disease. Experts recommend that infants not consume dairy. In addition to concerns about causing colic (both when consumed by the infant directly or through the breastmilk of a mother who consumes dairy), dairy is also linked to type-1 diabetes. With research like this, it’s no wonder that there were such sweeping changes. The new guide looks at evidence – and not evidence funded by industry. And while the meat and dairy industries might be feeling sour over the changes; people on a plant-based diet have been praising it for recognising something they’ve known for years. Want to eat more plants but don’t know where to start? 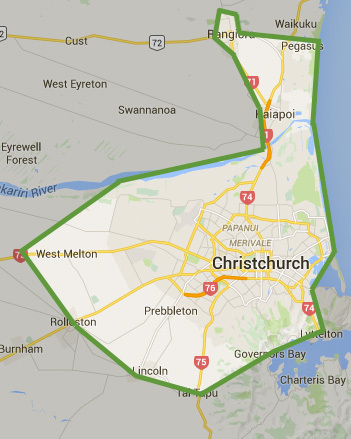 Green Dinner Table can help! Sign up to one of our weekly plans and get everything you need to eat delicious, plant-based meals you and your family will love!